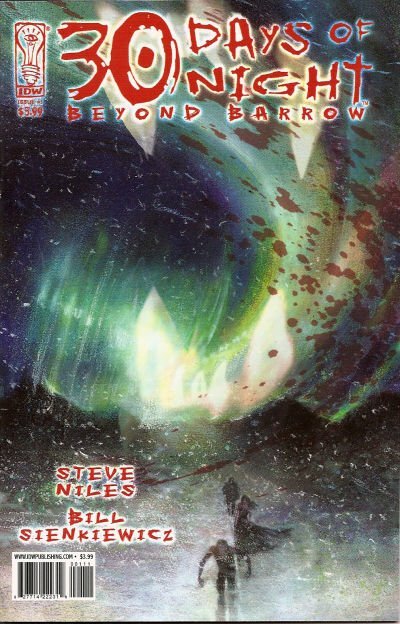 Click Here To See 30 Days of Night: Beyond Barrow Comic Book! 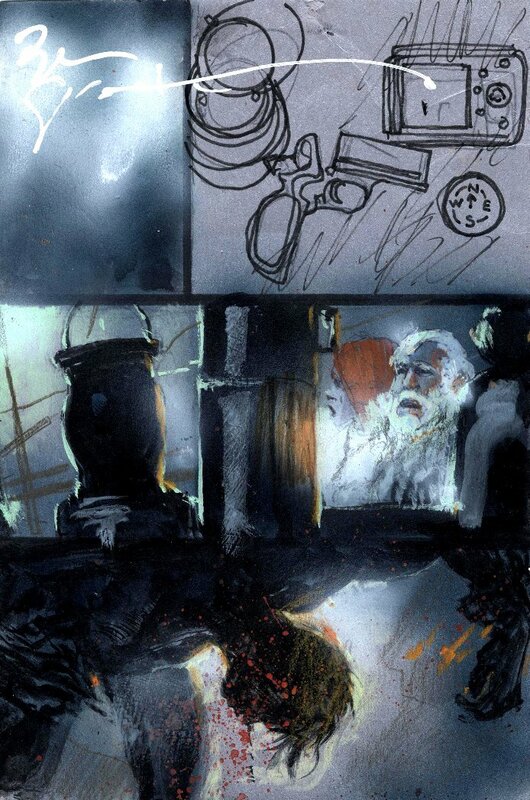 Check out this very nice Published Painted page, which was created ENTIRELY by the great Bill Sienkiewicz! This nice painted page features vintage Bill Sienkiewicz abstract painted areas, which he is so known for! This art was painted the same size as the actual comic book, with an image area measuring 6 by 9 inches, Just a great opportunity to own a NICE Bill Sienkiewicz painted page! Compare this nice painting to the published comic book in the red link above!